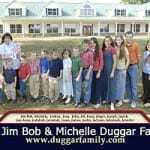 Could there really be an unusual Biblical girls’ name that starts with a J that hasn’t been used by Jim Bob and Michelle Duggar’s mega-family? Indeed there is! Thanks to Christina for suggesting Jerusha as Name of the Day. Flip through your Old Testament to the Books of Kings, and you might just find yourself marveling at this interesting appellation. 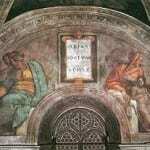 Jerusha was the wife of King Uzziah of Judah, daughter of Zadok and mother of Jotham. She’s a minor figure, but her name has enjoyed steady – if sparing – use. The pronunciation is just what you’d expect: jeh ROO shah. Maybe it is the “oo” sound in the middle, but there’s something lively and spirited about this name. Most sites list her meaning as “possession,” but some translate it as “inheritance” or “married.” This might be one of those names where you need to overlook the translation in favor of the sound. Jerusha boasts an intriguing history of use. Back in 1912, Jean Webster penned the novel Daddy Long-Legs and christened her heroine Jerusha Abbott. Her Jerusha was abandoned at an orphanage when just a babe, leaving the matron to pluck her last name from the phone book and her first name from a gravestone. Luck brings her an anonymous benefactor, and once she’s away at college, Jerusha goes by the nickname Judy. The story has had a long run, adopted for stage and screen. Shirley Temple’s 1935 Curly Top was based on the tale – though Shirley’s character was called Elizabeth. Adaptations have even been made in Japan and, as recently as 2005, Korea. The fictional character’s name might’ve come from a cemetery, but modern parents could spot Jerusha at the cinema. The creative filmmaker couple responsible for 2004’s surprise hit Napoleon Dynamite are Jared and Jerusha Hess, lending the name a quirky alterna-vibe. Canadian merchant and politician Thomas Johnston married Jerusha Todd. Earlier still, you might find Jerusha in a famous captivity narrative. Back in 1704, the settlement of Deerfield, Massachussetts was attacked by a party of French and Mohawks. Eunice Williams, the daughter of a local minister, was taken captive and eventually adopted by a group of Roman Catholic Mohawks living near Quebec. Among the Williams family members who did not survive the massacre was a baby sister called Jerusha. A scattering of Jerushas appear in US Census records, along with a handful of women named Jerushah. In 1882, the name even ranked in the US Top 1000, at #968 – but never appeared again. Overall, Jerusha is quite rare, and yet nicely wearable circa 2009. She’d fit right in with Hannah and Elijah, Isaac and Abigail. hi to all the jerusha’s. am so happy that my parents named me jerusha.whenever my name is called out it turns many a heads .hope i live upto the good christian meaning of my name.god bless. WOW I LOVE THIS ARTCLE.! it is extremely amazing to see how many other jerusha’s there are. I mean when you have such a unique name such as jerusha you feel like you are the only one with that name in the world. Despite it as you can see all of the girls with the name of jerusha have learned to love it despite the fact that every time you say your name someone screws it up or says huh.? like it is so foreign that you may be an alien. people call you things like jerusalem, jerushlem,jerisa,jerosa,jeroshua,jershua,josiah, jerisla, jerushala, terusha you name it we have probably been called it. but you really dont take any offense to it you kind of find it hlarious seeing how oblivious some people are to unique names its funny seeing peoples facial expressions they never get old. i love my name and i wouldnt trade it for anything i think its quite lovely. oh and another meaning for the name is wedding dalry or however you spell it. I love all of the fact you came up with about my name. It is a beautiful name to have. I must say that it is a name that I enjoy now that I am older. I agree with the other Jerusha I am constantly correcting people with pronunciation. I want to add an additional fact my mother name me after the movie Hawaii. Hawaii 1966 Julie Andrews as Jerusha Bromley Hale. Me too thats awesome i love telling the story of where my mom got my name and when i watched the movie it was so cool hearing my name i also have a second addition hard copy of the book found in an old book store. I went to school with a girl named Jerusha and upon hearing it, I thought it was just beautiful. She was a Spanish tutor so whenever she spoke Spanish she would pronounce her name as (hay-ROO-shah), which I also found beautiful. I have been called: Jerusla, Jerisla, Darutha, Darisha, Jurrushuh, Joshua, Jershuah, etc. It is a bummer that I can’t enjoy my name. I am either constantly have to correct people on my name or let it go and earn a new name since they can’t say it right. I enjoyed this article. It is nice to see my name in an article on the internet that is not somone’s bloodline dated 1892 or something. 🙂 Well, it’s my name. Really. More times than naught, it makes people stop and pay me a compliment. Growing up I wished my parents had picked something more common that fit in! But now, I love it’s uniqueness and it’s meaning… especially as a Christian, that I am a possession of God and I have a wonderful inheritance in Christ; His bride, belonging to Him. I am Indian, so people immediately assume it’s Indian, so I get to surprise them! 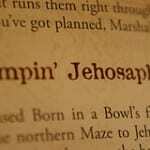 I grew up with a friend named Jerusha, so the appellation has always been familiar to me. While its obscurity is appealing, I’ve never been overly fond of the way it sounds. However, I’ve always preferred it to Judy and could never figure out why the Daddy-Long-Legs heroine chose her nickname. Jerusha makes me smile. I like her look and I like her sound – but not enough to have used it for a child of mine. I came across her in a book I read when I was about 12 years old. The name has stayed with me throughout the years. I love the Napoleon Dynamite association. I will definitely keep recommending this name right and left – it’s sure to be the perfect name for somebody’s little one. It doesn’t have an appealing sound. If it were pronounced JER-uh-sha, I might like it more – but not much more. Interesting history, but this one’s not really for me. Like Lola – I like the name, but I wouldn’t use it myself. Still, it’s fun to say, sounds quite pretty and the pronunciation is intuitive. Those are all pluses. Roo is a cute idea for a nickname. I also can’t get fully behind Judy, or Jerry, really. But beyond that, I can’t fault the name. It’s a good one. […] Jerusha – A J name not used by the Duggars – yet – Jerusha manages to sound modern and old school at the same time. […] Jerusha – J’adore Jerusha.